Gilroy Toyota invites all drivers in nearby Morgan Hill to visit our new and used dealership in Gilroy to learn more about the 2018 Toyota Corolla sedan that is now available. Thanks to the comprehensive Toyota Safety Sense™ package that comes standard on each and every 2018 Corolla trim model, drivers and passengers can enjoy the on-road protection that they deserve. Contact our Gilroy Toyota sales department to learn more about this system and the Lane Departure Alert with Steering Assist and Dynamic Radar Cruise Control it includes! 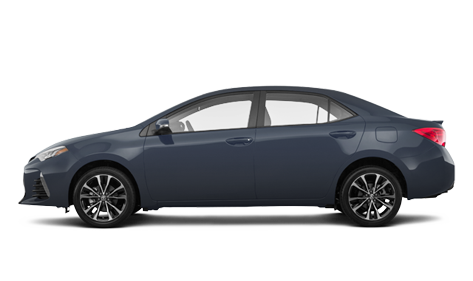 To ensure all Salinas, CA drivers that are shopping for a 2018 Toyota Corolla can secure one with ease, we also offer auto financing services for car shoppers of all credit scores to put to use. Don't hesitate to express interest in our Toyota financing services by completing one of our online credit applications now! Drivers don't need to be in the immediate Gilroy, CA or nearby Salinas area to shop our dealership's competitively priced 2018 Toyota Corolla inventory, thanks to our easy-to-navigate Gilroy Toyota website. Car shoppers can use our filters to narrow down their sedan search results and can read about pertinent model information before contacting our Toyota sales department to schedule a test drive. We've also made a number of other Toyota resources available online that help make the purchase or lease process a smooth one, so feel free to explore our online payment calculator or learn about the ToyotaCare plan that comes complimentary with your new 2018 purchase. Prefer a sedan experience that has been customized to suit your unique needs? Drop by our Toyota dealership at your earliest convenience; we'll treat you to the high level of care that you deserve!